I'm Matt, and it would be my pleasure to show you around our school. Burnside Primary is unique in what it offers to children, to their growth and to their learning. Our 280 children (from Years 1 to 6 and who are 5 to 11 years old) individually bring a cultural richness with them, from 40 Nations. Our school Values celebrate this diversity. We provide an exciting, safe and welcoming environment for all, and our values of Excellence, Respect, Tolerance, Integrity and Compassion are evident in the ways we work together. Our 12 learning-spaces provide rich and individual opportunities for children to develop their potential and to grow their learning. The New Zealand Curriculum provides a focus on Reading, Writing and Mathematics. Our Burnside Primary School Curriculum programmes build on these core areas by providing many opportunities for children in Arts, Science and Physical activity. Our Teachers and Support Staff are committed, skilled and passionate, and they work together to provide the best learning environment possible for children. Teachers are professionally current in their teaching styles and value a strong partnership with parents and whanau. Classrooms have the most current technologies (Interactive whiteboards, data projectors, digital cameras, laptops and computers). 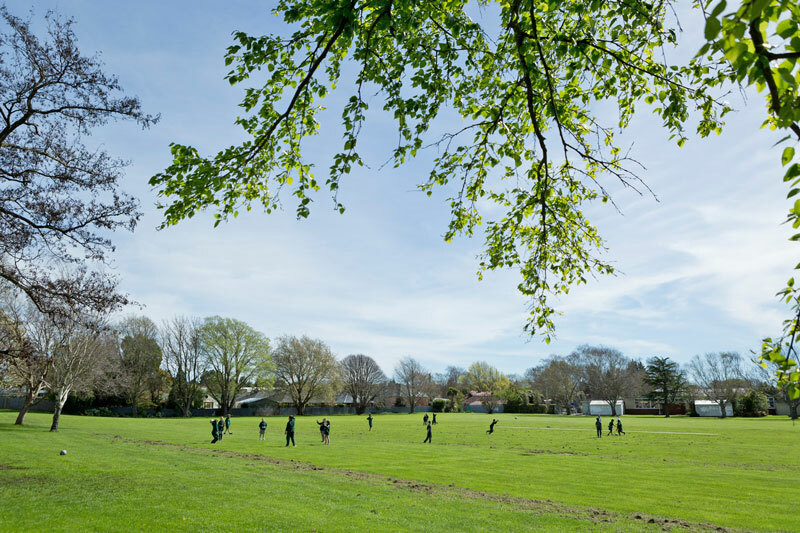 Our expansive tree-enclosed, grass playing fields, and the several hard-court spaces, allow children to play and be instructed in a great number of games and sports. We are spoilt for green-space, and our staff have children regularly involved in physical activity that supports both competition and participation. Many musical opportunities are also provided for children, with instrumental (violin, flute, keyboard and voice) and choir groups having tuition available. Cultural opportunities, events and celebrations reflect our diversity. Kapahaka, and a bilingual provision in Te Reo are choices offered to whanau and students also. I welcome your interest in Burnside Primary School and encourage you to build a positive partnership with us. We are a school that is very proud of our identity, our children, our staff, our facilities and our community. I know you will enjoy our website and I look forward to your contact.